Christmas greetings and a Happy New Year to all. The year 2012 has seen out my third year in Paradise, and I think you could say that it has been the first year that I haven’t really struggled to understand the country. It’s not that I know everything about the Samoan culture, rather that I know enough to be comfortable with the country I now call home and realise that after a few years of some rich experiences, I really do understand things here. 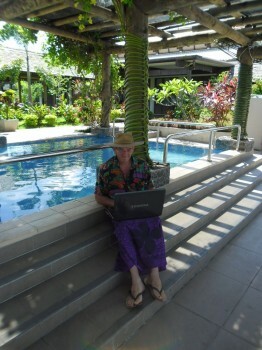 For all newcomers like me it surely takes a year or two to get to grips with the culture, the climate and the people of Samoa, but would I do it all again knowing what I know now, if I had a choice? Definitely! The journey has not been an easy one, but “wholesome” would be the word that best describes it. Would I do anything different in retrospect, knowing now what I know? Yes, but actually not a lot, but as with anything new, you have to learn as you go. I went into all situations with my eyes wide open and exercised a lot of faith doing what I have done, so have little regrets. The ideas and words that I have been speaking and sharing have a lot of validity, and have been pretty solid. 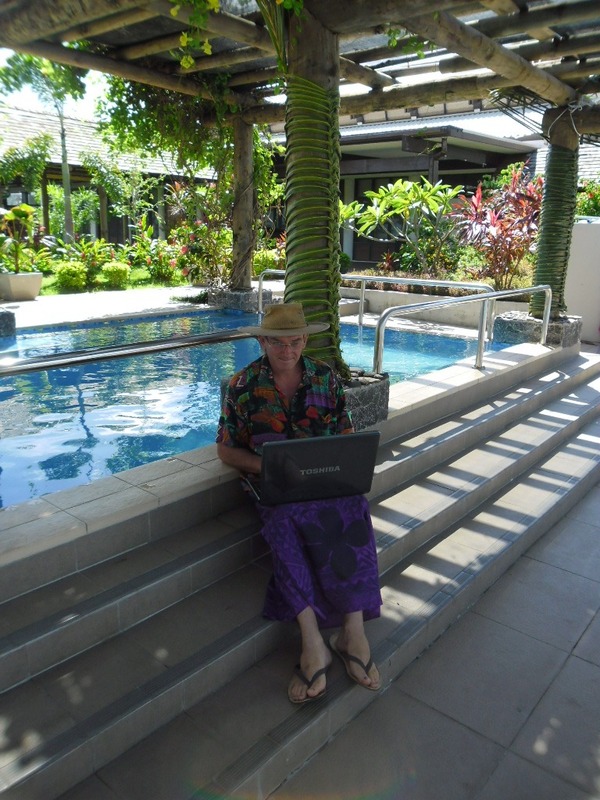 When I look back over some of the hundreds of thousands of words I’ve blogged about Samoa in three years (close to a quarter of a million all up! ), I would change very little and am pretty happy that the bulk of them do hit the mark well. My learning of “how things work” here has been pretty real and solid, even if I have suffered huge losses in the process. People who hear of the troubles I’ve been through invariably ask the question, “Why are you still here after all that?” The answer is one of faith. I’m here simply because I believe that the Lord called me here. I have a vision that I believe that He gave to me, and until otherwise “called” elsewhere, I will share it, preach it, teach it and of course, do it! I still struggle with working out the balance between withdrawing into our own lands and projects entirely, and engaging with the rest of Samoa, socially and professionally with politicians, government, the church and local businesses, but that will no doubt settle down in the next year or so as we get more “runs on the board”. At the beginning of the year we were only a few months past the turning point in Samoa when we realised that we were caught in a horrible political situation between the CEO of Samoa Tourism who wanted nothing to do us, and with the Prime Minister who supposedly did. When the penny dropped that we were being played for suckers, I determined that we would just hit it as hard as we could throughout the new year using what we had to the best of our ability. My books, “A Little Slice of Paradise” and “Fun in the Sun” are a result of that energy. I’ve spent a large part of 2012 clearing the rest of our land, fortunately just in time for Cyclone Evan, so that we received no damage to infrastructure on our land from falling trees. This was a major undertaking – a lot of it done with machete and axe, with chainsaws only operating at times as they variously coaxed to work. I close off a year of building a life and a future with a physical building project – another Christmas without power, but hope for a better year ahead. Family matters. It was a little sad to be away from family so much, and for my mother to have to leave Samoa early after her fall. That hurt. I also needed another separation like a hole in the head, but with Debbie’s departure at least I know where we stand and we can now move forward. Continued delays with signing the land lease. The Samoa Land Corporation have taken eighteen months to subdivide the 10 acres and produce the lease documents. The PM instructed them in writing to complete the documents with urgency over a year ago. That we still await their appropriate action over a year later would be astounding, except that this is Samoa! You get used to these sorts of things here – deliberate or incompetence doesn’t really matter, the cost is the same. Police delays, corruption and incompetence. Again, only in Samoa . . . I’ve contacted the Samoan Police over a hundred and twenty times in over 18 months (yes that is 120 times) regarding the processing a dozen outstanding charges, and I still wait! The Samoan Police bring new meaning to the phrase patience, or as many of the locals tell me – incompetence! I have been to both Assistant Commissioners more than once asking for attention to the outstanding cases, laid a formal complaint with the Commissioner himself and drawn the matter to the Prime Minister’s attention. The Ombudsman, a blog reporting the matters of corruption and publication of the matter in the Samoa Observer await should nothing have happened by early in the New Year. That I was arrested on trumped up charges by a corrupt cop instead of the criminals was a disgrace to the Samoan police to start with, but pushing the matter out for over a year is nothing short of a disgrace. Locals know it all too well in regards to their own police force, but it will be little wonder if Palagi do not trust Samoa as well when the word finally gets out. Cyclone Evan. While I had prepared for it for months, bringing down all the trees dangerous around the house, and while I’ve taken the opportunity to rebuild and extend the lean-to off the 40′ container at Camp Samoa, a cyclone so early in the season wasn’t on my Christmas shopping list! The steady stream of volunteers. It was great for me personally to not only have so many guests but to have such a variety of people with such overall high satisfaction levels with their experiences. We have surely proved that the concept of Voluntourism can work in Samoa. Publication of the Palagi Perspectives in the Sunday Samoan. Hopefully this is just a start of working with the Samoa Observer team, the opportunity to present biblical values into a well churched but relatively faithless country has been a rewarding experience. I know that people are reading the articles and all hell hasn’t opened up yet, so I look forward to taking the articles forward a little more. The green light for Club Samoa, and appointment of General Manager, Maurice Blackwell in Auckland. I really look forward to getting Club Samoa working and starting the building programme. Construction work always invigorates me! Financial survival. Effectively living off capital for a third year and developing a business in a new country on minimal income has been a real challenge, but I squeezed through, and lived a pretty good lifestyle “on peanuts”. To those who are tuning in for the first time, I always preach the supreme importance of building and keeping relationships. Turning your back on people and breaking relationship through our own pride hurts us more than the “other”. When Adam and Eve sinned, they hurt the loving God that created them, as it was He who actively sought out His creation when they messed up, but while they hurt Him by destroying their relationship with Him, in the end they hurt themselves more than they ever dreamed they would. Again, have a Merry Christmas. I’ll no doubt chat with you again in the New Year!